The Doctor Who/Mr. Men mashup books are almost too cute for words. 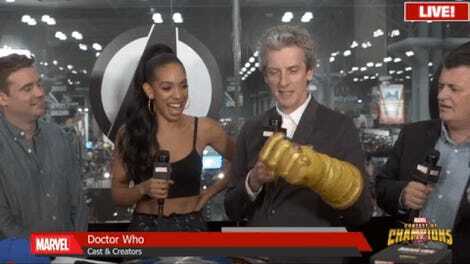 But it turns out, you can make them even cuter—by having Missy herself, Michelle Gomez, narrate an adorable caper involving Mr. Men and Little Miss versions of the Twelfth Doctor and Missy. 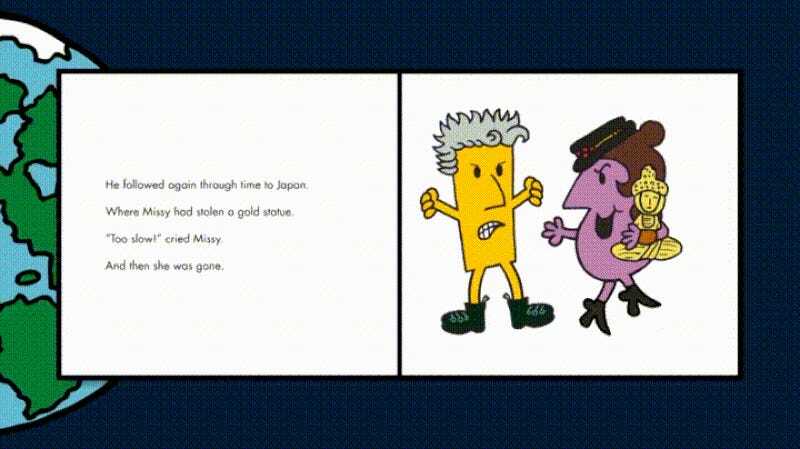 To celebrate the new line of books—penned and illustrated by Mr. Men creator Roger Hargreaves’s son, Adam—the BBC have released an animated version of the Twelfth Doctor’s story in the series, Dr. Twelfth, narrated by Gomez. It’s a tale of time travel, jewel thievery, and the perils of missing lunch. Yes, really! The idea behind these books was already delightful enough, but this is just fantastic. Plus, the extra scottish brogue Gomez puts on when voicing the Twelfth Doctor is perfect. The Doctor Who/Mr. Men books are available now.